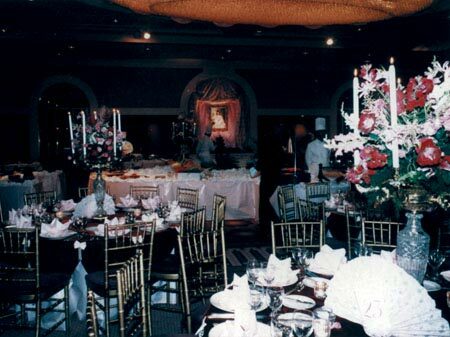 to private events including weddings, and Bat Mitzvahs, Dean Paris of Paris Design has the resume to impress. Call us for a quote! Please check out some of his work below! Or visit www.paris-design.com! 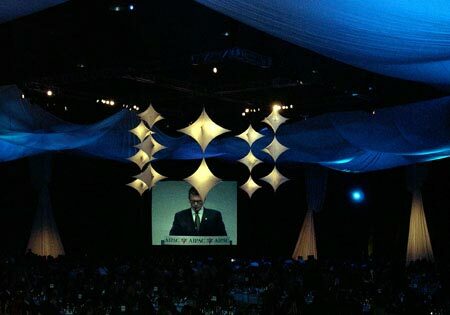 Over 4200 people attended 2003 Gala Dinner. 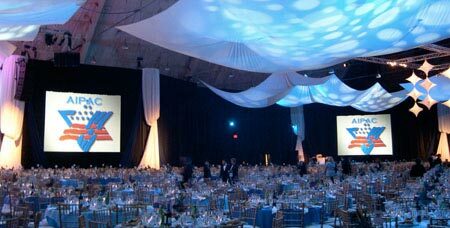 The DC Armory was transformed into a colorful, tented theater and dinner space. 4 20' screens and a 60' dais were arranged so all attendees could view the program. 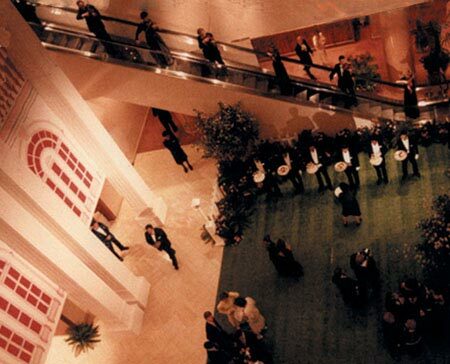 The JW Marriot was transformed into "Tara" for this Bat Mitzvah celebration. 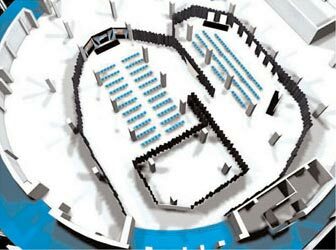 A three story facade was built for the ballroom entrance. 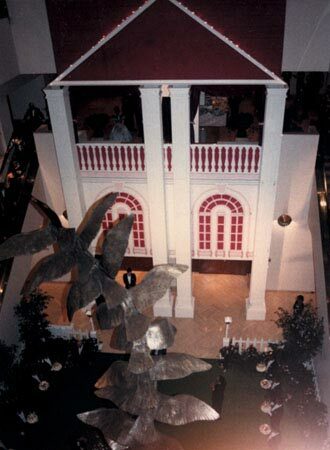 The entire 1st floor lobby was landscaped into a garden for "Shanon's Cottilion." The garden held a country fair for the teenagers, while the adults were served mint julips, and caviar before dinner. After the party, breakfast was served on the veranda!